Energy, today we focus on energy. Big Red Car here after an afternoon of menial labor. I like menial labor, I do. So, today we talk about how a startup, a small business, or a medium size business deals with energy. First, there are energy sources and energy sinks. An energy sink is an absorber of energy. We will come back to this issue of energy sinks. Now, we focus on creating, maintaining, and multiplying energy. Here is an example of a dragon projecting energy, hence, the name “dragon energy.” Haha, Kanye and Donald, both DRAGON ENERGY. 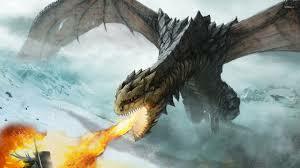 Fire breathing dragons are sources of energy. Usually, they have eaten burritos with jalapenos. Every enterprise is, essentially, an energy equation. Let’s apply that to business, shall we? Big Red Car here. Rained like Hell last night in the ATX. It is that time of year — we get the rains in May and September and this is September. Bring it! So today, we talk about the C Suite and how it operates or should operate. First, let’s make sure we’re all talking about the same thing — C Suite occupants: Chief Executive Officer, Chief Operating Officer, Chief Technical Officer, Chief Marketing Officer and so on. Big Red Car here on another warm August Texas day. On Earth as it is in Texas, y’all. When you live in Texas — even if you’re originally from Detroit, like me — it’s hard not to be proud (obnoxious) about how great Texas is. Big Red Car here. Another — another — great day in the paradise that is the ATX. On Earth as it is in Texas. So, the Big Red Car is interested in the phenomenon that is The Donald from the perspective of assessing a political campaign as a startup. The Donald Startup! In the end, isn’t a one time campaign the ultimate startup? The Donald Startup, y’all! Big Red Car here in the glorious ATX where it is the best time of the year because of the azaleas, the weather, the bluebonnets and the Final Four. In all of this is a lesson for entrepreneurs struggling with their startup businesses — an excellent lesson. A lesson of hope. Big Red Car here. Second post for today because Perfect Daughter had a 4:00 AM wakeup for a 6:00 AM JetBlue flight back to the Apple. Big startup graphics wizard now. Big Red Car here and here is the ATX. If you are in Austin today you know it is 70F, no humidity and a certain Mediterranean quality to the sunlight out there. And, there is a lot of sunlight. It is also Cinco de Mayo — a big celebration down here in the former colony of Mexico. Big Red Car here. It’s Friday and we need to explore some more Big Red Rules. Big Red Car here. Nice cold morning with lot of cloud cover. The Boss took me out for a quick run to a morning coffee meeting. I love getting up early and hitting the road even if it is for some corporate coffee — that would be Starbucks. So he was visiting with a friend and the subject of Voomly.com came up. The Boss is getting into Voomly.